We're all on a quest to be healthier and eat healthier. Especially with the New Year approaching us FAST! bRaw is here to help you achieve your goals. Each ingredient is handpicked and each recipe is handcrafted in small batches to give each bar the perfect combination. I was able to sample a couple Sampler Boxes so I could try each flavor! The Super Green is EXCELLENT!! With ingredients like Almond Butter, Spirulina and Chlorella and 10 more nourishing superfoods, this bar is sure to give you energy and be the perfect snack for your busy day! I also loved the Coconut Macadamia which surprised me because I'm not a huge coconut fan. 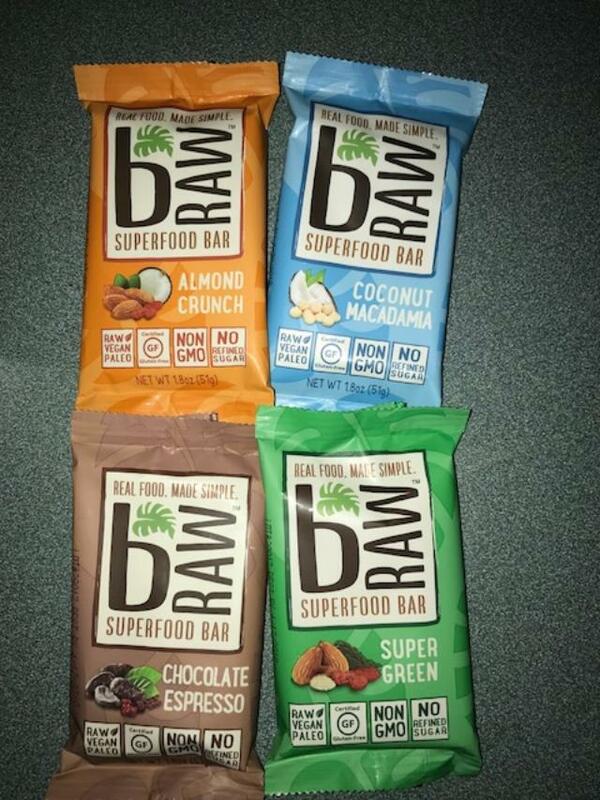 Each bar is packed with superfoods. They are uncooked so they are as RAW as raw can be, hence the name, bRAW! 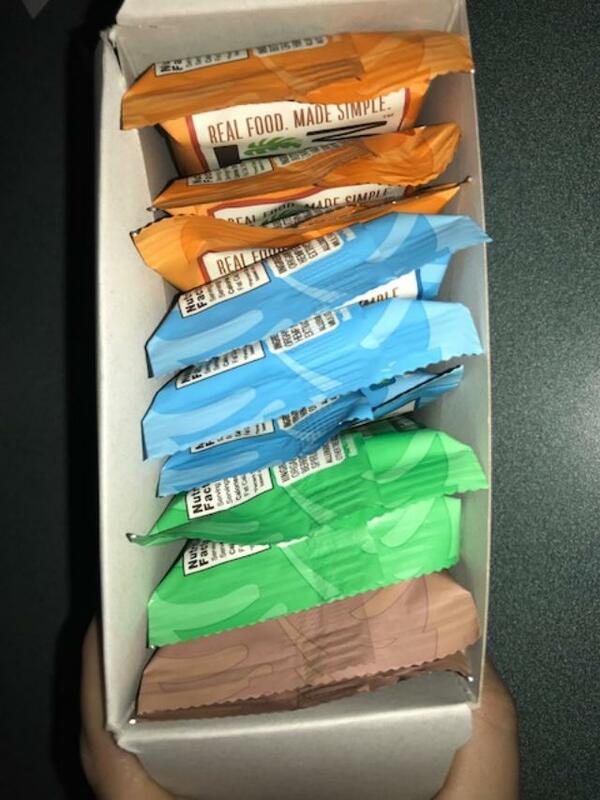 They are organic, non GMO, Vegan and Paleo friendly, they have 10+ Superfoods in EACH bar and have no refined sugar! Sure to be perfect for ANY time, going on a hike? Perfect! After the gym? AMAZING! On a road trip? YUP!!! They should be refrigerated when at home but will last a while non refrigerated as well. Refrigeration is best for optimal freshness. Price: Box of 10 is $39.99, you can buy each flavor individually or buy a sampler pack like I received! Overall: ***** the taste is phenomenal. 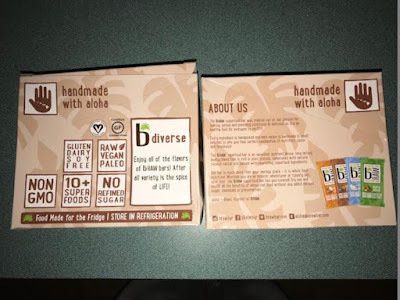 I learned that the coconut macadamia bar is made with Maui-grown Macadamia Nuts, Organic Coconut and Organic Maca. I learned that they can be purchased at select Whole Food stores. I learned that they are non-gmo, plant-based, and gluten free. Yum! I like low glycemic with no refined sugar. The ingredients are hand picked and is made in small batches. I like that they are non-GMO and organic! I learned that they use no refined sugar in any bars so it's not too sweet and has great texture. I really would like the COCONUT MACADAMIA flavor and I love that these are vegan. Every ingredient is handpicked and each recipe is handmade in small batches to give you that perfect combination of nutrition. I didn't know they were rich in plant protein ! I like that there is no refined sugar in the products. Thanks for the giveaway! I learned they are sold at Whole foods. They have a chocolate espresso bar. It sounds amazing! I would like to try the Superfood bar! I learned that they can keep up to 8 months int he freezer. The COCONUT MACADAMIA bars look tasty! I want to try that chocolate espresso! yum! I learned that they have to be refrigerated - that means no preservatives, which is good. I learned that the bars should be refrigerated to ensure maximum freshness. These are sold at whole foods! I learned that you can freeze them for up to 8 months!!! I like that these are certified gluten free! bRAW is rich in plant protein! I like how it has no refined sugar! I learned that they're uncooked. 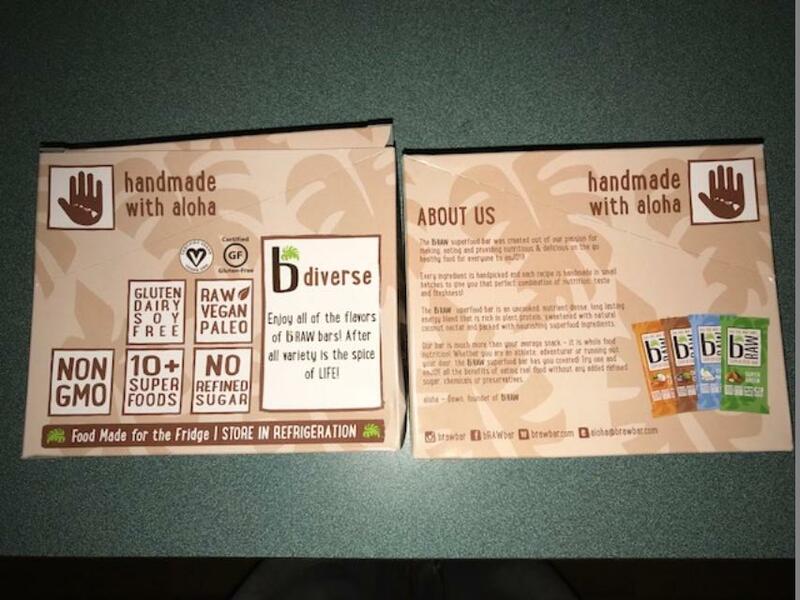 I learned the bars are raw, vegan, paleo, gluten-free, grain-free, dairy-free and soy-free. They are also delicious. I like that these are low on the glycemic index. I like that thye have a chocolate espresso bar! yum!! I like that there are no refined sugars. 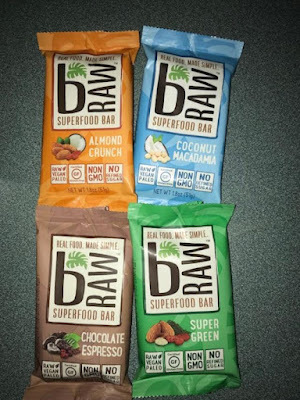 I learned that the bar are made from plant protein and that they are packed with super foods! They look really good!! I like that they are plant-based, and I learned that they are sold at Whole Foods. The COCONUT MACADAMIA sounds good to me! I liked and enjoyed seeing the really yummy Chocolate Espresso!